Image: Carrick Hill, set to benefit from funding for a new visitor centre. The Federal Government has announced that it will deliver $129 million for a series of projects to boost the cultural economy of Adelaide’s world-renowned arts, food and cultural scene under the Adelaide City Deal. $2 million towards development of smart technology walking trails at garden and national park tourism sites. Revealing the funding, Federal Minister for Cities, Urban Infrastructure and Population, Alan Tudge advised “Adelaide is renowned as one of the cultural capitals of Australia, with incredible festivals, galleries, artists, food and wine. Adelaide attracted more than 2.8 million domestic visitors in 2018, contributing $2.3 billion to the local visitor economy. In the same year 412,000 international visitors came to Adelaide, spending $1.1 billion. South Australian Premier Steven Marshall said he was delighted at the backing for proposed developments at the former Royal Adelaide Hospital site, advising “this latest funding injection … ensures that our vision for this site is closer to being fully realised. The projects will further enhance arts and cultural tourism, in particular with the addition of a new Aboriginal Art and Cultures Gallery at Lot Fourteen. The Gallery will recognise and celebrate the world’s oldest continuing culture, and will be designed as an international attraction to drive year-round cultural tourism to Adelaide. The role of Indigenous groups in the scoping, design, and operation of the Gallery will be deeply embedded, recognising the importance of ongoing Indigenous stewardship in the success of the Gallery. In recognition of the continuing high rate of growth in Adelaide’s world-class food, wine and hospitality sectors, the Australian Government will invest $30 million towards building the International Centre for Food, Hospitality and Tourism in Lot Fourteen. In addition to generating a strong pool of talented local and international graduates with the right skills to help these sectors continue to thrive, establishing the Centre’s campus in Lot Fourteen will also enable the education and training sector to connect with the innovation and advanced technology businesses and agencies also being hosted in that area. The $9 million towards the construction of The Heysens at Hahndorf will create a dedicated space to display the Hans and Nora Heysen collections. Hans Heysen is regarded as one of Australia’s greatest artists and his daughter Nora Heysen was the first woman to win an Archibald Prize in 1938. The new gallery will ensure that Hans and Nora Heysen’s immense talent can be showcased and celebrated by the local community as well as visitors to Adelaide. 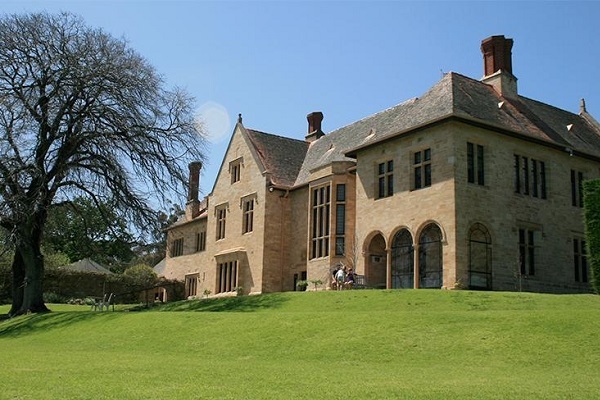 The $3 million investment will enable a new visitor centre to be built at Carrick Hill, one of Australia’s most intact 20th century house, museum and garden venues. The smart technology-enabled trails – which could serve as a model for similar installations around the state – will provide tourists with new and innovative ways to explore Adelaide’s cultural landscape. These trails will be further enhanced by upgrades to Old Government House, Wittunga House and Botanic Garden, Glenthorne Farm and Kingston House.